Ed Byrne will be hoping to lead from the front for Leinster this weekend. A TRIP TO South Africa has more than its fair share of challenges, but for this week at least, it might just be an ideal balm for Leinster. When Ireland are in camp and the eastern province lose at least a starting line-up’s worth of talent, their UCD base can feel a touch on the sparse side. With a Sunday match against Southern Kings to come this time around, there was minimal time left to feel the absence. And while the stadium at Nelson Mandela University is by no means the most glamorous venue in the competition, there is excitement among the 27-man group Leinster have sent south. Because Leo Cullen has built his success on a fierce competition for places. The upper rungs are punctuated by Lions and internationals are dotted throughout. So the men still aspiring to make their name are extremely eager to stake a claim. “A lot of lads have been waiting for this opportunity to really put their hands up,” says Ed Byrne, who has two Lions looseheads above him in the depth chart. Byrne certainly felt the benefit of the mini-tour to South Africa last year. Having been plagued by injury for two years, the visit to Port Elizabeth brought him his first ever senior start for Leinster. The Carlow man has pushed on from there, taking the number one jersey on six more occasions since. It’s a truncated trip this time around with the Kings match wedged between the season’s opening block of games and three-week break between Pro14 fixtures. 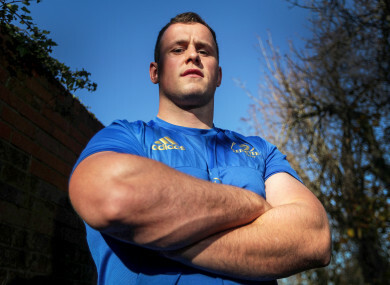 The advent of the Celtic Cup has been a welcome proving ground for the ex-Clongowes man, particularly when it came to scrummaging as he found himself locking horns with a seasoned Welshman and a 128kg one-time Ireland international. “Rodney Ah You was playing in the game against Ulster so that was obviously going to have its challenges. And then against Scarlets, Simon Gardner played, there’s some good tightheads coming through there, we’d a different pack each week, so there’s good learning from it. With team-mates taking on Italy and resting up for Argentina, Byrne can look forward to plenty more fun in the scrum in Port Elizabeth on Sunday. Email “'A lot of lads have been waiting for this opportunity': Leinster off Broadway, but understudies ready to shine”. Feedback on “'A lot of lads have been waiting for this opportunity': Leinster off Broadway, but understudies ready to shine”.